Once again (thanks to frequent flyer miles) my husband and I were able to travel to southern Africa and take four suitcases for Wilderness Safaris’ Children in the Wilderness projects. 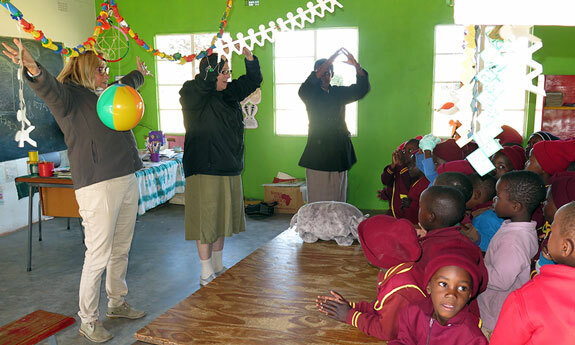 The Children in the Wilderness program operates in several countries in southern Africa. We were fortunate enough to visit three of those countries. This trip obviously required organizing and pre-planning on our part, but we were more than happy to take the opportunity to give back to such a wonderful project. I reached out to Wilderness Safaris to confirm that the BeGirl underwear would be of great benefit and inquired if they could use basketball/netball uniforms. Kaitlyn Y., a Wood Scholar and student at UNC Chapel Hill, had reached out to me in January with a desire to make a positive impact for young women through sports. After I confirmed the uniforms would be useful, she collected them so we could deliver them on our trip. In the meantime, I reached out to my generous friends and PfaP Facebook followers to see if they would be willing to contribute funds for purchasing the underwear. 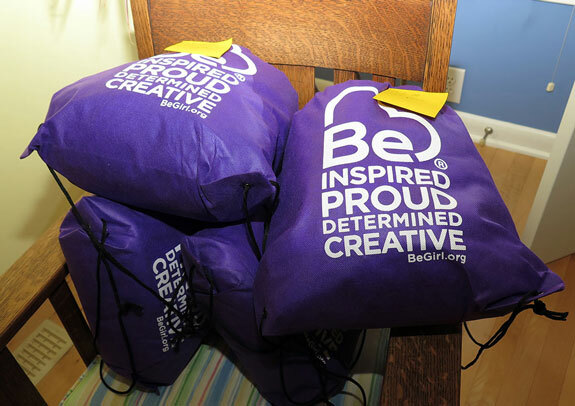 We soon collected enough to take over 500 pairs of BeGirl underwear with us. This underwear allows girls to stay in school every day of the month ensuring no time is lost from their education. Kaitlyn collected enough jerseys to outfit nine netball teams. We then needed to find a source for the shorts. I reached out to the Capital City Civitan in Raleigh (where I had recently been a guest speaker), who had expressed an interest in helping if we needed supplies or donations. The club graciously donated enough money to purchase all the shorts. Meanwhile, the Sports & Recreation Ministries Northside Church in Atlanta was able to donate the shorts we needed without charge. 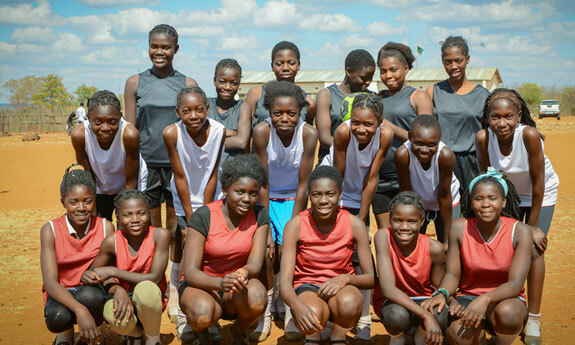 As a result of the church’s donation, we were able to purchase additional netball uniforms for five more teams with the funds provided by the Capital City Civitan. 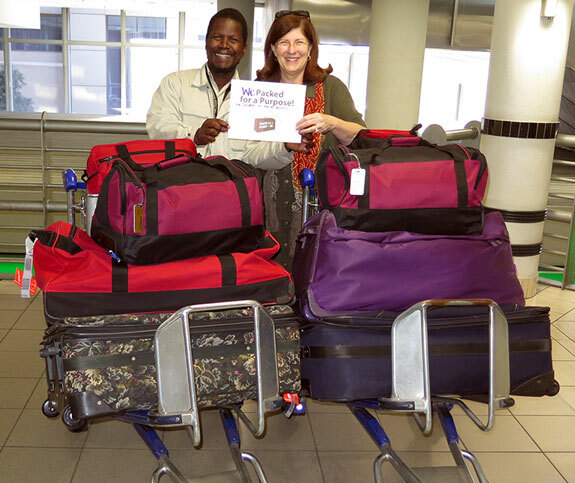 When we arrived in Johannesburg, and saw our luggage on the carousel, we were filled with relief and joy! Wilderness Safaris sent an employee to meet us at the airport, collect all the supplies, and take them to their offices. Children of the Wilderness distribute them through their various eco-clubs. 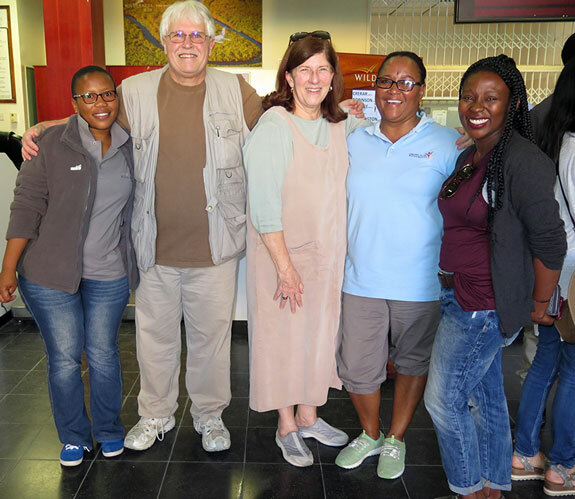 The next day, we flew to Maun, Botswana and met Mary at the airport who oversees the Children of the Wilderness projects in Botswana. It was wonderful to see her again and to learn more about the success of the eco-clubs and the positive impact they are making in the lives of the participants. As an unexpected bonus, we met Koki, who is our contact in Botswana for Great Plains Conservation and their projects. It was delightful to see her in person after communicating via email for many months. Hearing her voice and seeing her smile made our trip even more special. Although we had a small luggage allowance, once we departed Johannesburg, we were still able to take some school supplies to drop off at Toka Leya, where we would be staying in Zambia. 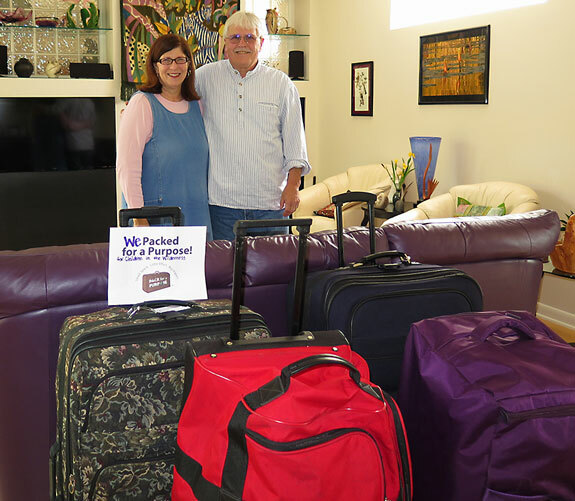 We were there over a weekend and the school was closed, but the staff were delighted to add our supplies to the generous amount already received from PfaP travelers and drop them off at the school on Monday. We also had time to meet with our contact at Fawlty Towers, another one of our participants in Victoria Falls. We were able to speak briefly and discuss ways to help more of their guests be involved. The last country we visited was Zimbabwe. We stayed at Davison’s Camp in Hwange National Park, where we had another wonderful surprise. 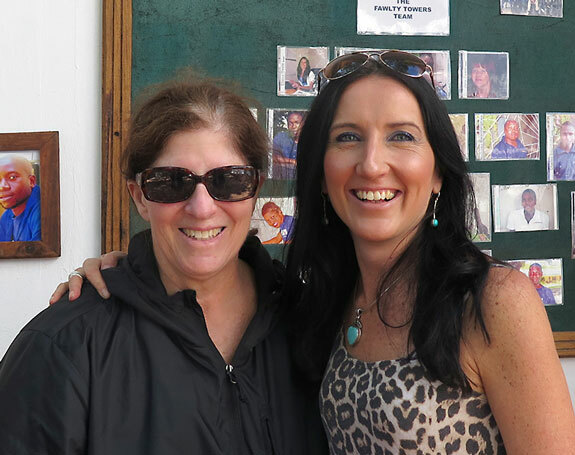 Sue Goatley, who is in charge of all the Wilderness Projects in Zambia and Zimbabwe, came to camp to meet with us. That evening and during the next day, we had extensive discussions with Sue about the benefit PfaP travelers have provided to communities in the region by taking supplies from the requested needs lists. Sue arranged for the three of us to spend the next day together, including quality time at Ngamo Village meeting with teachers at the school. We were able to visit two classrooms with the younger children and even share some songs with them. We heard from the teachers themselves the positive impact PfaP supplies had made by providing them with the materials they needed to support their students’ education. 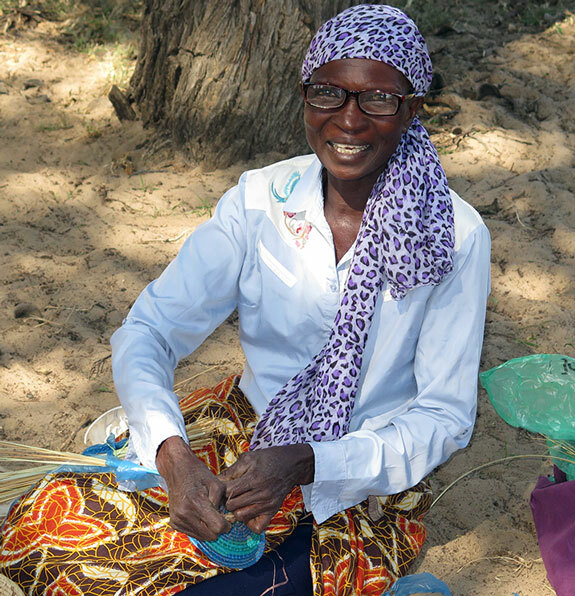 We also met with the headman of the village and his wife, who along with Sue had initiated a project that allowed the local women to create crafts to sell to tourists. Of course, we walked away from the women’s craft bazaar with several delightful items to enrich our home. Being able to visit projects is a wonderful experience and certainly enriches our trips. However, we know absolutely that even if we are not able to visit the project, the supplies we take will be delivered to the appropriate project and make a Big Impact in that community. That fulfills the mission of Pack for a Purpose. All travelers who choose to can make the trip they take go farther than the miles they travel when they Pack for a Purpose.